Taken on a hike in a cloud forest above the city of Loja, Ecuador. This grouping was on a very steep mountain side, inaccessible by any way other than the 600mm lens (or a drone). If anyone can name the flowers and/or the beetle I would be grateful. Beautiful image, fine composition - that long lens is perfect for simplifying a background. Can't help with the flower ID, but the bug looks like a plant bug nymph (aka stink bug), not a beetle. I love it. The little beetle adds a lot too! 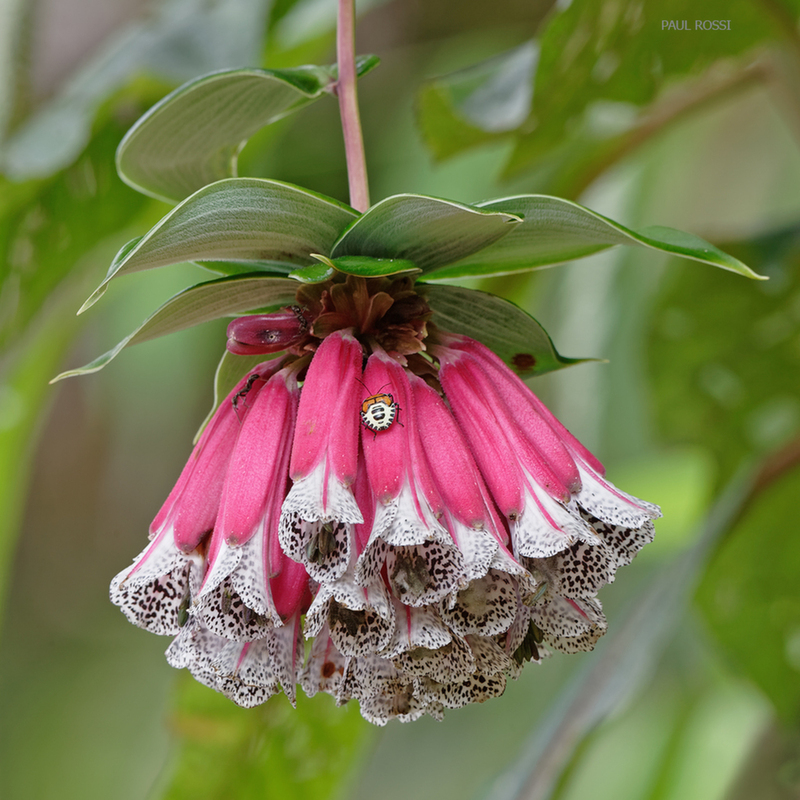 Do a search for 'Bomarea Pardina' images on google, and I think you'll find this flower. A lovely image with bugs, ants and all! Nice image with great colors. the bug is a plus. The bug really adds to this one!!! Love it! The little guy adds a great deal.